With the expertise of its Backstage Makeup Artists, Dior has created a professional line of brushes for perfect, simple makeup application. 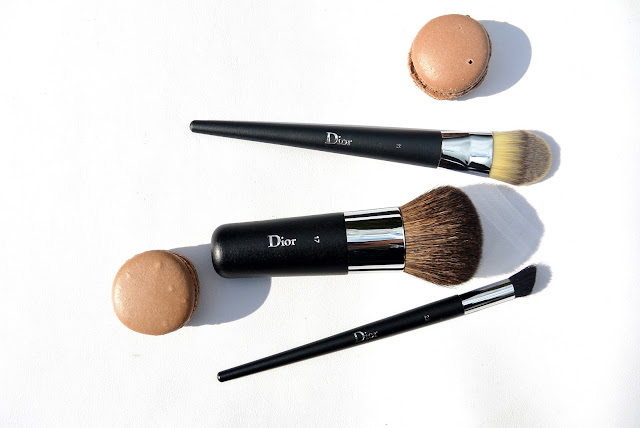 We are taking a look at 3 of those Dior brushes today. For use with fluid and cream foundations, this innovative brush combines the responsiveness of synthetic fibers with the softness of natural fibers. Both layered and tapered, these fibers help blend the foundation for fast, easy application. The "cat's tongue" shape of the brush head (you can not unsee in now :D) allows easy application of an ultra-fine film of foundation to the skin. A breakthrough beveled shape specially designed to facilitate the application of two colours of eyeshadow. 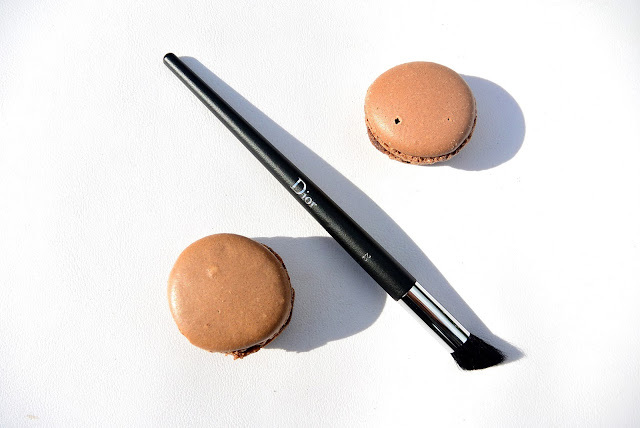 Use its flat side to apply a light shade across the entire eyelid in one easy sweep and its high-precision tip to structure the eye with a darker shade. So how should I apply two colors? When applying two colours, first apply the light shade using the flat side of the brush and sweeping across the entire mobile eyelid from the inner corner to the outer corner for an incredibly even finish. Then use the tip to apply the darker shade, following the crease from the inner corner to the outer corner to structure the eye. 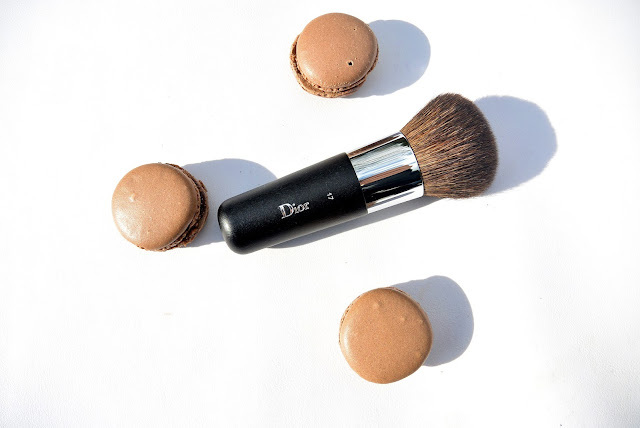 This brush is the perfect compagnong for bronzing powders. Its rounded shape and dense bristles take up just the right amount of bronzing pigments and blend them into the skin for a smooth and even sunkissed complexion. Incredibly soft, natural fibers deliver flawless application for perfectly even colour and a true-to-life healthy glow. So how should I use a kabuki brush like this one? For a "sunkissed" look, apply on areas of the face where the sun naturally hits first (forehead, cheeks, bridge of the nose, tip of the chin). For a "sculpted" effect, apply in the shape of a 3: from the forehead down to the cheeks and then the chin, following the oval of the face. 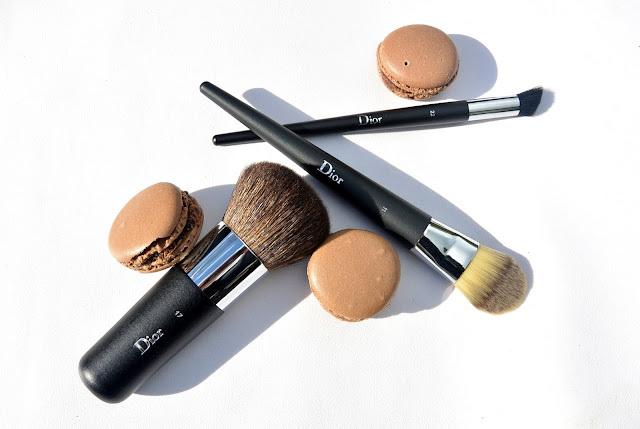 I have to say, I really love these Dior makeup brushes. They really feel very soft and do their job. They are also very easy to clean with some baby shampoo. 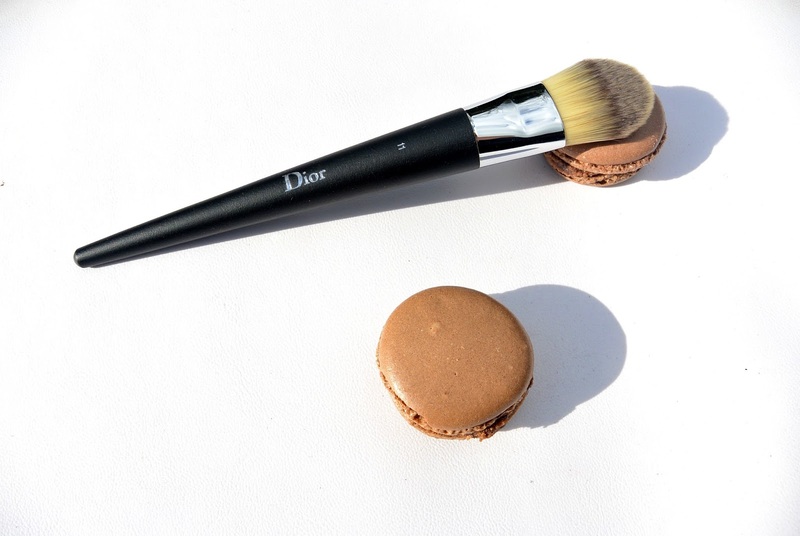 and these Dior brushes are really comparable. What do you think about high end brushes? Are they worth the price for you? Goede brushes zijn hun geld zeker waard. Ik ga ze zeker eens bekijken in de winkel! The kabuki brush looks awesome but it always hurts buying expensive brushes! Ik wil die kabuki, die ziet er gewoon al supergoed uit! Beauty News : Why using primers?